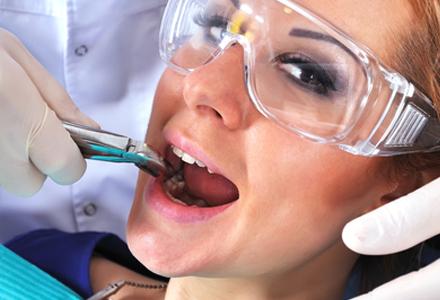 An extraction is where a damaged or decayed tooth is removed under anaesthetic. A tooth may need to be extracted if it has become too decayed or has been damaged to extensively for the dentist to be able to restore it. In order to extract the tooth our experienced dentist will numb the area using a local anaesthetic. This will mean that you will not feel any pain when the tooth is extracted. The dentist will then use forceps to grasp the tooth and remove it. Following the extraction the socket may feel sore for a few days and it is advisable to take paracetamol if you able to. It is necessary to ensure that your dentist is aware of all your medical history prior to treatment as there a number of medications that can affect blood clotting and this is especially important if a tooth needs to be removed.